UK-based consumer insight agency Join the Dots has launched a dedicated qualitative research unit under the new brand name of Spirit. The agency is well known for its online communities, but says it wants to 'shine a spotlight on the importance of blended methods to get closer to consumers', and showcase its existing, award-winning work in qual. Spirit's offer will include mobile surveys, ethnography, communities, co-creation, groups, depths, accompanied shops and user testing. The new division will operate from Join the Dots' main office in Manchester, but will also service the Singapore office and all multinational clients - it already works for House of Fraser, Freeview, intu, The Co-op, Prudential and ITV. 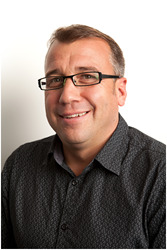 Director Sales & Marketing Graeme Lawrence (pictured) says the new brand is 'the realisation of many years of great qualitative research and many highly skilled people at Join the Dots', adding: 'This level of expertise deserves its own success story and Spirit encapsulates perfectly our qualitative offer - creative, courageous and clever'.